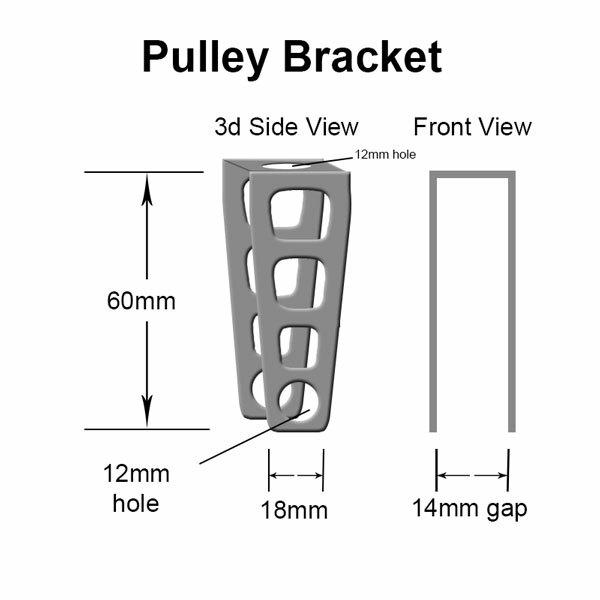 This Bracket is designed to work with our Pulley wheels although you can certainly use them for anything else. This listing is for the Bracket ONLY. There is no hardware or pulley included.